Keep your Omaha lawn looking its best with our weekly lawn maintenance program. The H & H Lawn & Landscape lawn maintenance program includes trimming, mowing and blowing. 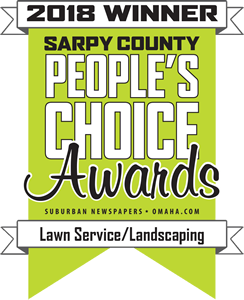 Our Omaha area maintenance crew can mow, edge, trim, and prune on a regular schedule to keep your yard and property looking its best. We also offer seasonal services like spring and fall clean-ups, weeding and fertilizing, leaf and debris clean-up, and much more. Please check out the rest of our website for more details about our professional lawn care. Weekly maintenance does not include application of fertilizers or chemicals during summer months. These services are available upon request.